Baltimore, MD - Feb. 12, 2019 - It is with sadness that BaltimoreJewishLife.com informs the community of the petirah of of Rodney Kaplan, Z'L,beloved husband of Tina Kaplan, father of Jon (Jennifer) Kaplan, grandfather of Ethan, Shoshana & Tali Kaplan. 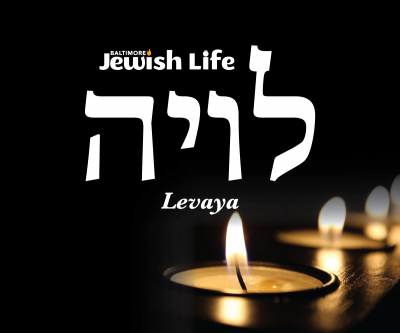 The levaya will take place tomorrow, Wednesday February 13 at 9:30am at Sol Levinson. Shiva will be observed at 3213 Shelburne Rd, Baltimore, MD., 21208.